A 5 percent increase in tuition could be possible for the fall 2014 semester because there is likely to be a decrease in state funding, according to a draft of OCCC’s budget plan for FY 15. Currently, students pay $103 per credit hour, according to the OCCC website. If the increase were to happen, that would go up to $108.15 per credit hour, an increase of $15.45 per three-credit-hour class. 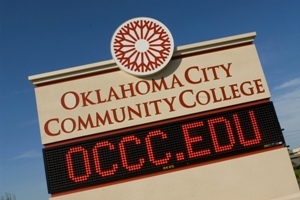 OCCC officials will not know until late June if there will be a tuition increase, said OCCC President Paul Sechrist. “The increases, if there are any, will go into effect for the fall semester … ,” he said. Sechrist said OCCC officials are committed to keeping tuition low and will thoroughly examine every option. The tuition increase was discussed along with the fiscal year 2015 budget at the April 21 Board of Regents Meeting. Sechrist said the regents will continue to discuss the issue in their May and June meetings, as well. “As was stated in the meeting, any tuition increase is dependent on the final amount allocated to higher education by the Oklahoma Legislature and the governor,” he said. Sechrist said the governor’s proposed cut in higher education funds would have other direct effects on OCCC. He said the college’s budget would suffer because the amount of funding the college receives from the state determines tuition, salary increases and other funding. About half of OCCC’s $50 million education and operating budget comes from the Legislature. Business and Finance Vice President John Boyd said OCCC stands to lose $1,347,026 if the cut is approved by state legislators. “Worst case scenario … is Gov. Fallin’s 5.3 percent budget cut, which has a devastating impact on the college,” he said. By increasing tuition, OCCC officials hope to offset some of the money lost through state funding. “ … An increase in tuition of roughly about 5 percent … would yield us another approximately $600,000 in tuition and fee revenue that would help offset some of these other reductions … ,” Boyd said. Enrollment also has been decreasing for the past three years, which poses another threat to the college’s budget. OCCC’s top three revenue items in the budget are state appropriations, tuition, and fees, and the reimbursement from the tech district. The only area that is staying consistent is the reimbursement from the tech district, Boyd said. “Our state appropriations are at risk and you know our enrollment has gone down over the past three years, so as we look at our FY15 budget, at this moment in time, we are hoping for the best,” he said. Boyd said the college will make sure students still get a quality education. “We’re going to make whatever adjustments we have to make to serve the students that we have … ,” he said. Students had mixed feelings about the possible increase. Political Science major Michael Blunck said he isn’t concerned. “I think students of OCCC should understand that the president and cabinet of the school have gone to extreme lengths to make sure that they have cut every other corner before touching anything involving students,” Blunck said. “I would be more concerned but the leadership is in place. As a student here, I am not concerned about [this] having any real impact on the cost of my education,” Blunck said. Chemistry major James Worden agreed. “No one likes paying more money, but in the end, it’s going to be a necessity. There are factors that have led to this,” Worden said. Other students weren’t so certain. Shelby Webb, diversified studies major, said she won’t be happy with an increase. “This is a community college where it’s supposed to be cheaper … ,” Webb said. “It’s supposed to be easier for those [who] don’t have as much resources to be able to pay for school. Sam Pender, film major, said he doesn’t think the state should be cutting the funding for higher education. “I would rather there not be a 5 percent increase. At least it’s not incredibly large, but I would still prefer to keep things the way they are,” Pender said. For more information, contact Boyd at 405-682-7501 or by email at jboyd@occc.edu.